REPLACEMENT S-TYPE MANUAL PACK The Replacement Solar Heating Strip-12v works with all Dotworkz D2 or D3 solar camera housings that use 12v power. 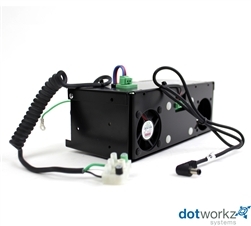 This Replacement Standoff Pack is the best solution for adding a space or replacing the existing standoff hardware that goes between any IP, HD, CCTV, specialty, or surveillance camera mounted inside a Dotworkz camera housings. The Replacement Standoff Pack (RP-STANDOFFPK) mounts securely on the internal camera bracket inside of all Dotworkz camera housings.